1a - Why do I need to set up an account in the checkout? Why do you need my email address and phone number? 1b - Why do I need a password? 2a - How do I reach a real live person? 2b - I would like to place my order over the phone. 3 - I'm having a party, event or putting on a play and I need costumes and accessories. Do you offer discounts? 4 - How do I change my order / change my method of payment / make it a Rush Order once I've placed my order? 5a - What forms of payment do you accept? What's the address for sending payments? 5b - I'm having trouble using my credit card or paypal. Have you received my payment? 5c - Do you accept Purchase Orders ? 7a - What colors, sizes and styles do the Poodle Skirts come in? 7b - How do I know if an item is in stock? 7c - I want to buy something but it says this item not available or the color I want is not showing up in the drop down list as a choice. 7d - Do you have a catalog you can send out? 8 - What is the return policy? 9a - What are the shipping charges? 9b - How quickly will my order get shipped and when will I receive it? 9c - I need this as a Rush Order. Can I let you know special shipping instructions or how quickly I need it? 9d - Can I get my order sent Overnight? 9e - Once my order is shipped how do I know when I'll get it? 9f - How do you handle Back Orders ? Do you let customers know when an item is on Back Order ? 10a - Do you ship Internationally? What are the shipping charges? 10b - How are APO and APO AE orders shipped ? 1b. Why do I need a password? We ask you to choose a password so that you will have a unique account at Hey Viv ! Once you have entered your email address and a password the checkout will store your shipping address for future orders to make reordering quick and easy. Your password will also allow you to log into the site and check on the status of your order. If you forget your password, go to www.heyviv.comand click on "Open Account" on the top toolbar, then on the green"Sign In" button. There you'll see "Forgot your password? Follow the directions and your password will be sent to your email. 2a. How do I reach a real live person? Call 866-543-9848 (Mon to Fri 9-5 EST) to speak to customer service. 2b. I would like to place my order over the phone. The fastest way to place your order is at our online store at www.HeyViv.com. The online store has a secure checkout that will process your payment and will process all your shipping information. 3. Do you offer discounts? We are glad to offer discounts. We offer a discount for orders over $200. Please read our Discounts & PO policy. We offer a special group discount coupon program for groups & schools for orders. Contact viv@heyviv.com for more information. Click on Order Status on the top tool bar. On the next screen sign in with your email address and the password you entered when you set up your account. The next screen will list your orders. Click on the order # to see a particular order. You can check the information you entered and your order. Click on User Profile to make changes in your contact information. If you can't make the change you want, you'll need to email or call. We'll take care of updating the checkout and will email you any necessary invoices. Be sure to include your order number or last name so we can look it up and get back to you quickly. 5a. What forms of payment do you accept? Credit Cards (Visa, MasterCard, American Express, Discover) are accepted through our secure online checkout. We also offer Amazon and Apple checkout. Sorry, no personal checks or money orders for International Orders. 5b. I'm having trouble using my credit card or paypal. Have you received my payment? If you experience any difficulty in the checkout - Please email customerservice@heyviv.com or call 1-866-543-9848 (Mon thru Fri 9-5 EST) We'll be glad to help. 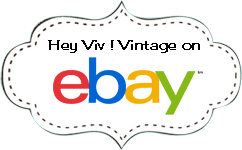 To check the status of your order, go to the Hey Viv ! online store at www.heyviv.com. · Click on Order Status on the top tool bar. · On the next screen sign in with your email address and the password you entered when you set up your account. · The next screen will list your orders. Look under Status or Click on the order # to see a particular order. 5c. Do you accept Purchase Orders ? Yes, we accept purchase orders. You can place your order online or over the phone to get your order number and total. After completing the checkout choose "Purchase Order" as your payment. The next screen will give you an order number and a link to your receipt. Please check Purchase Order Policy for more complete information. 6. Click here to read our privacy and security policy. 7a. What colors, sizes and styles do the Poodle Skirts come in? Waist: 29"- 36" Length: 28"
Waist: 34" - 42" Length: 29"
Waist: 22"- 28" Length: 19"
Waist: 22"- 28" Length: 23"
Waist: 22" - 28" Length: 23"
We are not able to fill special orders for particular colors or sizes other than what is listed as available in the store. 7b. How do I know if an item is in stock? All items shown in the Hey Viv! storefront, on Amazon are in stock and ready to ship. We update the store inventory daily. If you don't see a color or item, email us and we'll check on the status or find out when we are expecting more. 7c. I want to buy something but it says this item not available When we are out of stock on an item and it will be more than a day for new stock to come in we remove that item from the storefront.We ship orders complete and generally don't do back orders. So if you're looking at the scarves and you don't see pink listed as a choice it means that we have run out of pink scarves and are waiting for more to come in. 7d. Do you have a catalog you can send out? I'm sorry, we don't have a print catalog. We do have a printable flyer. If you're doing a show or event and you want to pass along the information about Hey Viv ! just click on Printable Flyer then right click on the page that opens up and click on print. 9a.What are the shipping charges? Shipping charges include insurance, tracking and handling and are calculated once you have gone through the checkout and entered your shipping address and before you pay. You will be given a choice of UPS Ground, UPS 2nd Day, UPS 3 Day & UPS Overnight for orders within the US. Orders to Hawaii and Alaska are shipped US Priority Mail. Small orders are shipped USPS 1st class mail for $2.00 to $5.00. International orders including APO addresses are shipped through the US Postal service and information can be found in "International Orders" . 9b. How quickly will my order get shipped and when will I receive it? We ship daily by UPS and USPS Monday through Friday from Staten Island, New York 10301. Items on HeyViv.com are in stock and ready for shipment. Most orders are shipped within 24 to 48 hours (Monday through Friday) once they have been processed and payment has been received. After your package is shipped here's how long delivery generally takes. Keep in mind that shipping times are given in terms of business days. Saturday and Sunday are not counted. We send an email with shipping confirmation and tracking number. If you need your order by a certain time or date, please leave a note in the checkout or email.We do our best to get your order filled quickly but remember we can't bend the laws of time and space. Please keep in mind the time it takes to process your order and transit time for UPS. If you place an order and choose Overnight shipping, depending on the shipping volume that day, your order may not go out right away and you may not receive your shipment the next morning. It helps us to know when you need a Rush Order to arrive. Please email viv@heyviv.com or call our shipping department at 1-866-543-9848 and we'll do our best to expedite. UPS delivers Monday through Friday. UPS charges extra to deliver on Saturday. If you choose Overnight on Friday it will be delivered Monday, not Saturday. Please call our shipping department at 1-866-543-9848 to arrange a Saturday UPS delivery. We ship via UPS from Staten Island, New York 10301. Here's a link to the UPS web site where you can find out how long Ground, 2nd Day and Overnight Shipping will take once your order has been processed by our shipping department and received by UPS . UPS Transit Time. 9c. I need this as a Rush Order. Can I let you know special shipping instructions or how quickly I need it? At the checkout there will be a place to enter special shipping instructions or information. Also, please feel free to email and let us know if you have any questions or concerns. customerservice@heyviv.comor call our toll free number 1-866-543-9848. 9d. Can I get my order sent Overnight? In the checkout, once you've filled in your shipping information you'll be given a choice of USPS, UPS Ground, UPS 2nd Day, UPS 3 Day and UPS Overnight Shipping. You'll see the charges for each and can choose the shipping method you prefer. UPS delivers Monday through Friday. They charge extra to deliver on Saturday. Overnight orders sent on Friday will arrive Monday. Please call our shipping department at 1-866-543-9848 to arrange a Saturday UPS delivery. 9e. Once my order is shipped how do I know when I'll get it? We send an email with shipping confirmation and a tracking number once your order has been shipped. 9f. How do you handle Back Orders ? Do you let customers know when an item is on Back Order ? Most items shown in the online store are in stock and ready to ship. Occasionally an item is temporarily out of stock. Ship the order without the item. If we do not hear back from the customer we will hold the entire order for 7 days. If the item is not in stock and ready to ship after 7 days we remove the item from the order, refund the cost of the item and ship the order. Back Order Policy for UPS 2 Day Orders / UPS 3 Day Select / Overnight Orders  Orders that are being shipped by 2 Day, 3 Day or Overnight - An email is sent to the customer notifying them an item is not in stock and asks for immediate instructions. In most cases if we can not reach the customer within a few hours, we remove the item from the order, refund the cost of the item and ship the order. Reordering Out of Stock Items If you still want the item you must place a new order when the item is back in stock. We dont hold open orders once an order has been shipped. How to Let Us Know To Hold Your Order Longer Sometimes your event or play is not for a few weeks and you have more time. If you want us to hold your order until an item comes back into stock please email or call us. We need email or phone instructions to hold an order longer than 7 days. We will work with you to fill orders as completely as possible in the time frame you need it. 10b. How are APO and APO AE orders shipped ? Orders shipping to an APO address are sent through the US Postal Service via Priority Mail. When entering the address for the state choose AA, AE or AP. For country choose United States Military. Most orders to an APO address can take from 7-10 plus days for delivery through the US Postal Service. Please keep this in mind when placing your order.